Ruth O’Neal Woolery, age 89 of Wichita, KS, passed away on Saturday, August 25, 2018 at the ComfortCare Home in Wichita. Ruth was the youngest of 13 children born to Jimmie Dee and Myrtle Pauline (Lofton) Curtis. She was born January 17, 1929 in Hayti, MO. 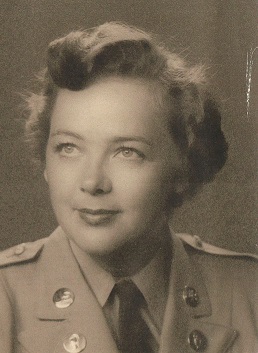 After graduating high school Ruth joined the United States Army in 1950 serving in the Korean War in Japan as a stenographer until being honorably discharged in 1956. On May 25, 1962 she married Jack Woolery in Denver, CO. Ruth worked as a Paraprofessional educator for the school district in Kennett, MO. for several years. She was preceded in death by her parents, her husband, Jack, 5 brothers and 6 sisters. She is survived by one sister, Loreese Saalwaechter and many nieces and nephews. Visitation will be Wednesday, August 29, 2018 from 5-9 pm at Petersen Funeral Home with family present from 6:30-8:30 pm. Graveside Services with Military Honors will be Thursday, August 30, 2018, 2:00 pm at Greenwood Cemetery in Newton, KS. Memorials are suggested to Home Health of Kansas (Hospice) or the American Legion Post#2 and may be sent in care of Petersen Funeral Home, 215 N. Main, Newton, KS. 67114. We would like to tell the family we are saddened to see Ruth Woolery had passed away. Were so glad that she will have full military honors. May the Lord be with each one of you.